The West Yorkshire School of Performing Arts (WYPSA) in Guiseley, has not one, but two very young students who are up for plum roles in two different productions. 10-year olds Mathew Lyons, and Freddie Sawyer are both on the auditions shortlist to star in major roles. Lyons who has been attending the WPSA the age of seven, is up for the title role in Billy Eliott: The Musical," in the production adapted from the hit 2000 movie "Billy Elliot," which grossed $120 million and received three Oscar nominations. 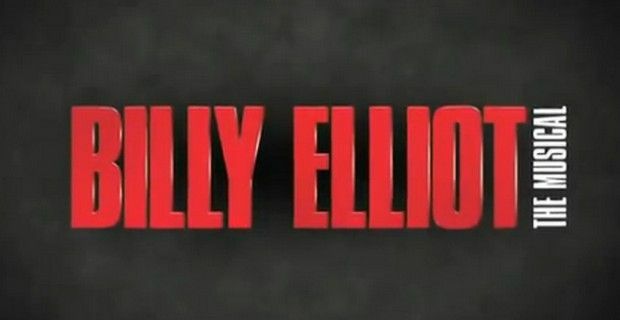 The musical, scored by Sir Elton John and book and lyrics by Lee Hall, is directed by Stephen Daldry with choreography by Peter Darling. The musical production has now been seen by nearly 9.5 million people worldwide and is the recipient of over 80 major international awards. Sawyer, instead, is up for the lead role of Peter Pan in Warner’s Brothers new movie that will be directed by Joe Wright, and is live action remake of JM Barrie's classic novel Peter Pan, that will star Hugh Jackman as Blackbeard. Lyons, Sawyer and Jake Spittlehouse, also age 10 attended the Leeds audition for Billy Elliot, that saw more than 80 boys trying out for the part. Mathew make it all the way through to the final stage of the auditions and is waiting to be called to London to see if he can become one of the three boys who alternate in the role of Billy Elliot. School principal Karen Fawcett, who took the three boys to the audition, told the Ilkey Gazzette: “I was over the moon when three pupils were chosen to audition from WYSPA dance academy. The process was very tough, with boys being eliminated as the day went on. “Mathew and Freddie were selected for the last 15 and told to come back after lunch. This round was the ballet section and unfortunately Freddie didn’t make it to the next section. Mathew made the final cut in Leeds and has been invited to London for the final auditions: “I had the pleasure of telling Mathew, who ran around the studio screaming with joy,” she added. The principal also explained how Freddie ended up being considered for the role of Peter Pan. “I had sent off video footage of Freddie for a movie role. Out of the blue, I received a call from a leading children’s casting agent in London saying she didn’t want him for that role as they were so impressed with him that they were putting him forward for the lead role as Peter Pan in the new Warner Brothers movie. “I was sent through a script for Freddie to learn and we then filmed him and sent this off. “Myself and the teachers are so impressed with both boys’ dedication and hard work – they are both lovely boys,” she added.